There aren't too many proper truck-based SUVs around these days and they're numbers are getting smaller every year. The Toyota 4Runner is one such vehicle and unlike a number of similar sized crossovers, the Toyota is a genuinely capable off-road vehicle as well as a family-friendly everyday vehicle. So, let's take a closer look at what the 4Runner has to offer and see why you should consider one. A lot of midsize SUVs look pretty similar these days, and although they are mostly pretty attractive, it's hard to feel in any way individual when you’re driving one. The 2019 Toyota 4Runner, by way of contrast, doesn’t really look like anything else on or off the road. It's a bit like a previous generation of the new Toyota Hilux pickup truck with a back on it, but that doesn’t mean a great deal as Toyota doesn’t even sell the Hilux here in the US. Regular versions look pretty rugged and aggressive, but the TRD Pro versions are higher off the ground and they get painted black wheels that really do make it stand out. Toyota keeps it simple here with just a single engine covering all versions of the current 4Runner. The unit in question is a 4.0-liter V-6 developing 270 horsepower and 278 lb.-ft. of torque, which sends the power to the rear or all four wheels through a five-speed automatic transmission. The TRD trim level gets all-wheel drive standard, while the SR5 and Limited versions of the Toyota can be rear or all-wheel drive. The rest of the range gets a part-time system more suited to slippery surfaces than genuine off-roading. There are other Toyota SUVs out there with better road manners if you’re not intending to go off the beaten track. But if you're looking for a daily driver capable of handling some seriously challenging terrain when the pavement runs out the 4Runner is a great choice. It's a bit of a climb to get into the Toyota, but that's all part of the appeal of this proudly different vehicle. There's a good amount of space for up to five inside, and a third-row seat is available if a family has small children it needs to accommodate back there. There's plenty of cargo space, especially when there's no third-row and the second is folded away. The standard cloth is tough and durable to deal with the outdoor lifestyle, but the synthetic or real leathers available are even better as they’re easier to clean. The entry level SR5 comes standard with a 6.1-inch touchscreen for the infotainment system, power features, a power-adjustable driver’s seat, a leather-wrapped steering wheel and air conditioning. Stepping up to the SR5 Premium upgrades your 4Runner with navigation, synthetic leather upholstery, and a number of other features. The TRD and TRD Pro may be the top of the range models, but this truly is where the real value is to be found in the current 4Runner lineup. 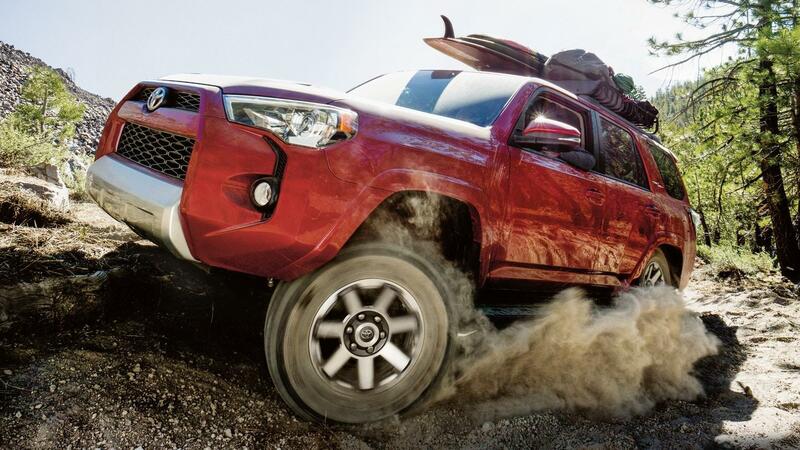 As well as standard all-wheel drive the TRD Pro also includes: off-road traction control modes, a locking rear differential, synthetic leather upholstery, heated front seats, navigation, Fox shocks, raised suspension and off-road tires. 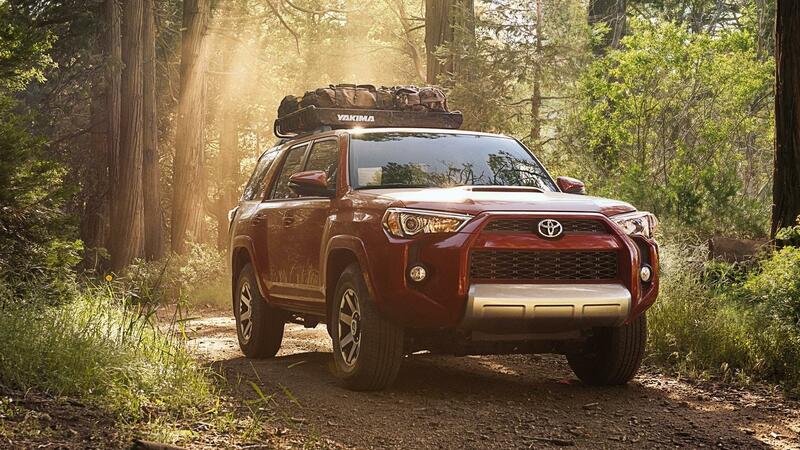 For more information on the 2019 Toyota 4Runner for Sale in Fort Collins and to arrange a test drive, don’t hesitate to get in touch with us here at Pedersen Toyota, your premier choice Toyota dealer in Fort Collins.